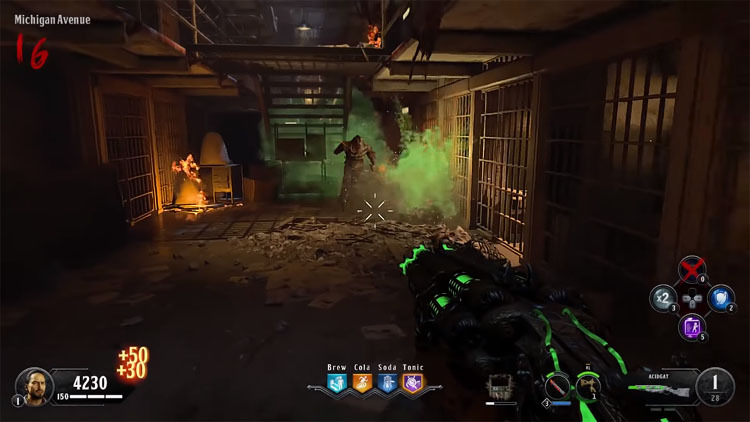 In this guide you'll find a detailed walkthrough for collecting the parts to upgrade the Blundergat into the Acid Gat in Blood of the Dead zombies. This returning Wonder Weapon is a fan favourite in Black Ops 4 and I strongly recommend you go after it. 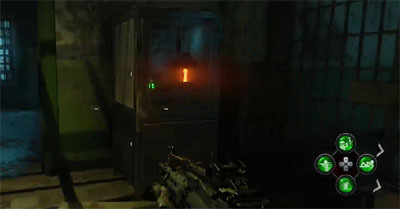 The Acid Gat is of course a returning weapon from the original Alcatraz prison map in Black Ops 2. It fires "sticky" acid pellets that attach to surfaces and explode after a brief delay. It's way more powerful than the base Blundergat and especially useful at running high rounds in the Cafeteria. The final Acid Gat can be constructed at any empty workbench (i.e. one which hasn't been used to build the shield). Interact with the empty workbench (as shown above) to assemble the Acid Gat "kit", then interact again to place the Blundergat into the machine. 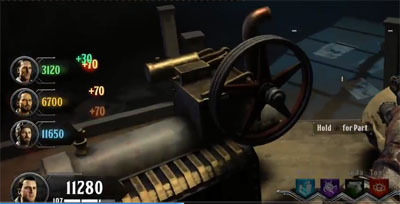 Wait a few seconds and the upgraded weapon is now yours to reclaim and start using. The Acid Gat comes with roughly 30 bullets and it's a single fire and reload affair. Although the delayed explosion from the Acid Gat may seem slow at first, the damage from the explosion more than compensates this risk. 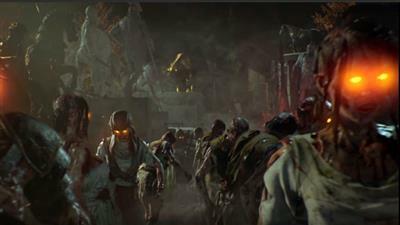 It's perfect for taking out tightly bunched groups of enemies but always remember to give yourself time to reload between rounds. 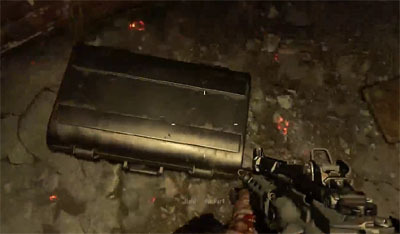 Like the sticky crossbow weapon, players can also tactically stick acid pellets onto the floor or walls to catch the path of an oncoming horde of zombies. This is particularly useful if you don't have time to turn around or are training in circles.